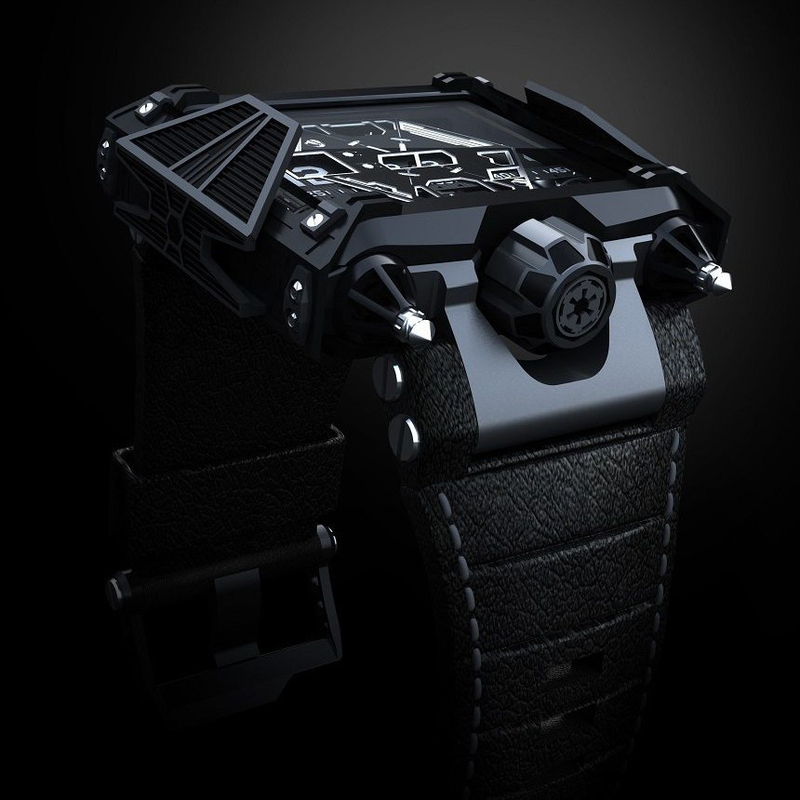 Luxury watch maker Devon Works made this dope Galactic Empire-inspired variant of its Tread 1 model. It features an unorthodox system called Time Belts that indicate the seconds, hours and minutes using thin, interwoven belts. 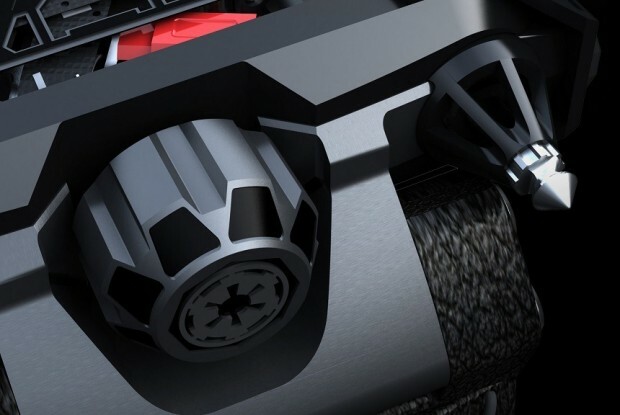 The belts make audible ticking and whirring noises as well, which will no doubt be annoying for some but I think they’re cool. 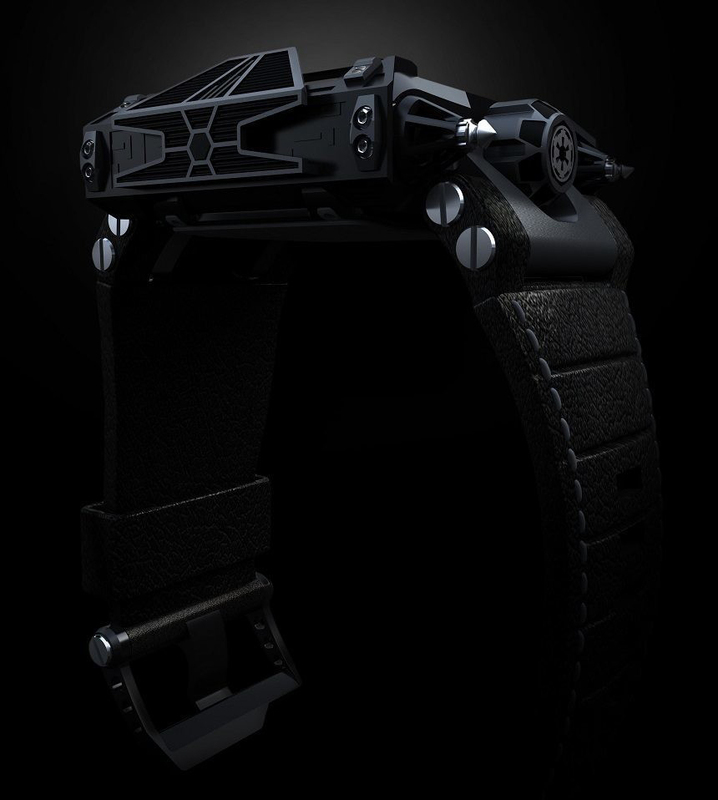 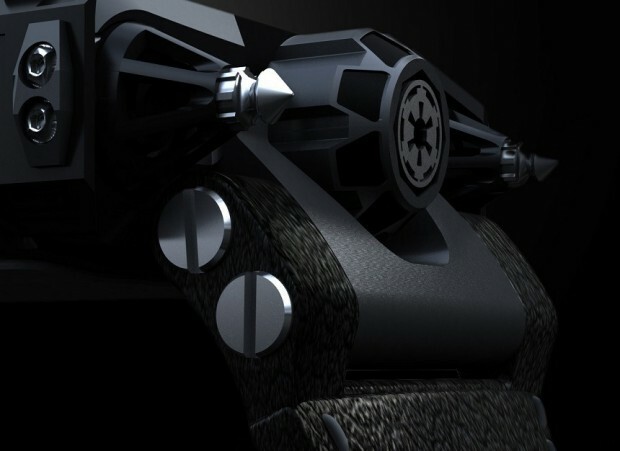 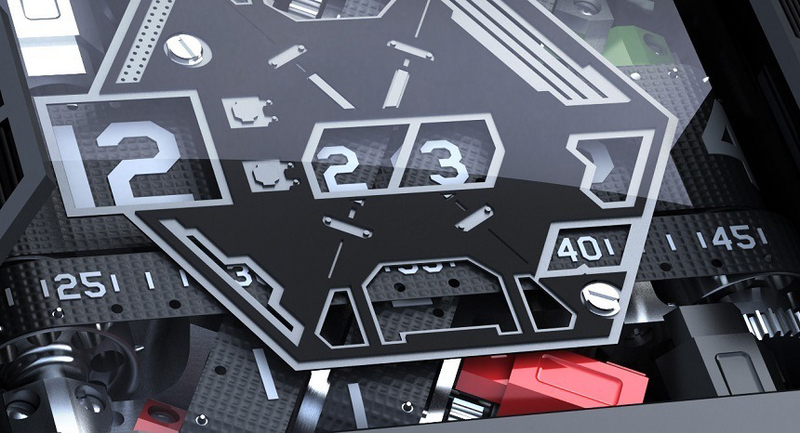 The watch features the TIE Fighter’s wings on either side of its DLC stainless steel case, the Empire’s insignia on the crown and a hexagonal disk on the watch face with TIE Fighter inscriptions. 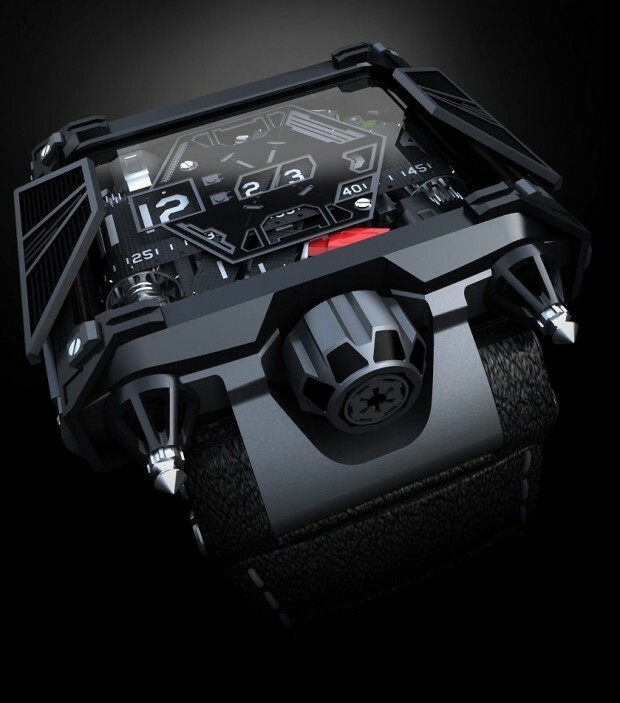 The screws on either side of the crown look just like the ones on Darth Vader’s mask, the red and green motor covers visible on the watch face mimic the buttons on Vader’s center console and the watch’s leather strap evokes the Sith lord’s gloves. 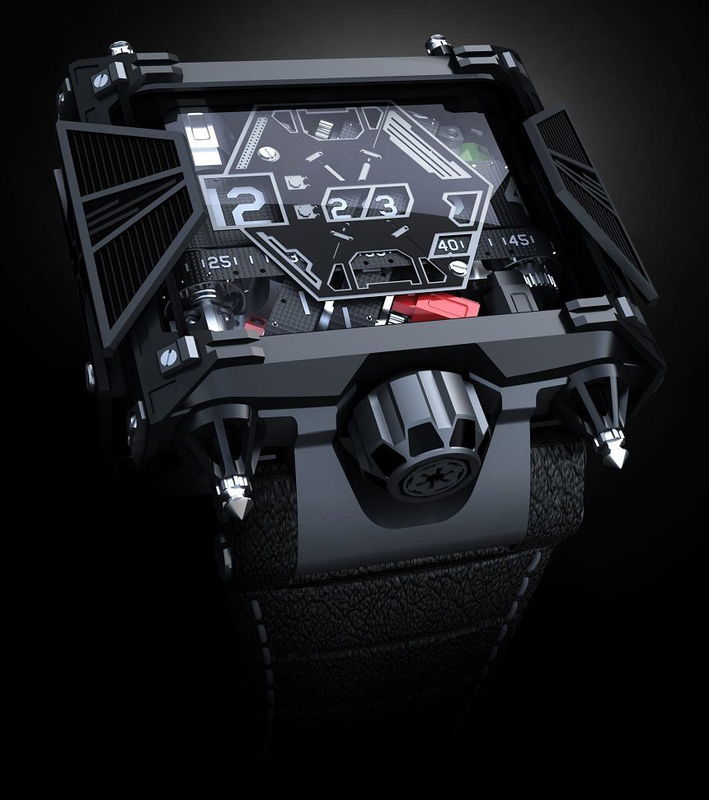 The hand-assembled watch will be limited to only 500 units, each costing an eye-watering $28,500 (USD). 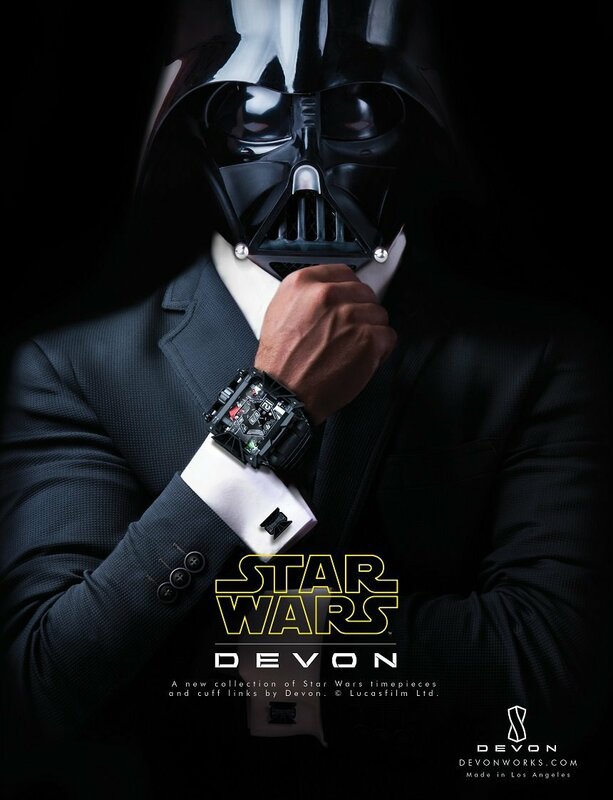 You can reserve one from Devon or wait for the watch to be on Amazon this October.